GPA Indonesia has just wrapped up and GPA Benin has commenced. The effort to organize and run a national GPA is tremendous. Far more than a pastors conference, each event is intense and intentional in connecting, uniting and strengthening young pastors—and following up. We thank God for National GPA Coordinator Rajiv Richard and the Dallas GPA grads who are making them happen. Please pray for these coordinators, for each pastoral delegate, and for long-term effects on their churches and ministries. The National GPAs are a powerful aspect of our decade-long Global Proclamation Commission. We also give thanks for RREACH’s dedicated Board of Directors, who have just finished meeting. Please ask the Lord for clarity, energy and efficiency as RREACH moves toward the GProCongress while maintaining the other areas of important ministry. Dr. Richard heads to London for the week for additional Congress vision-casting. He continues to seek the Lord’s provision for people to lead specific aspects of the project, especially in program. For the 2015 Dallas GPA, we are now in dangerous territory. Only 22 pastors now have visas (12 have been denied US visas) and 21 flights have been purchased. Eight more pastors have visa appointments or need to make them. Pray that the Lord will bring the right 25 (or a couple more!) pastors. And especially, pray for their and the RREACH team’s physical, mental and spiritual preparation. Nepal remains in our minds and hearts. The extent of devastation is still largely unknown because no one can get to some of the hardest-hit areas, but Dallas GPA pastors are keeping RREACH apprised. People are without food, shelter, clothing, and heavy aftershocks are delaying relief. If you have time to read more, see the heartfelt note below from Pastor A, the 2014 Dallas GPA grad who just moved from his rural village to Kathmandu. Please pray with us about how RREACH can most strategically come alongside our brothers there. I would also appreciate prayer for fruit from vision-casting gatherings and progress on the GProCongress program. Some gifted leaders have flown into Dallas to meet about that fundamental Congress component this week. The RREACH board plans to meet on Friday. GPA-wise, praise God for the 24 who graduated from GPA Peru! 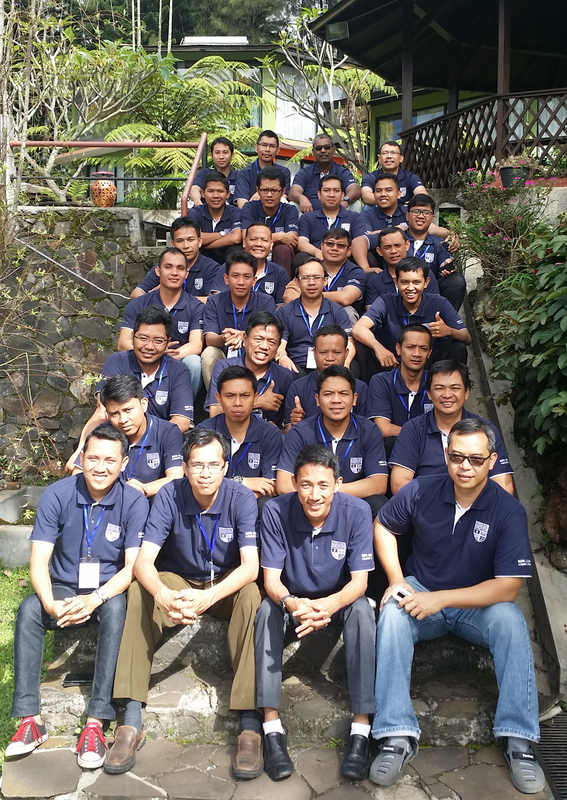 GPA Indonesia is going strong, and GPA Benin is scheduled to begin April 29. Two Dallas GPA candidates have visa appointments this week, and more need to be scheduled. Thank you for your faithful prayer support. We thank God for you. In and around my village and in a walking distance of about 7-8 hours the houses are ruined. Throughout the district the churches are affected and the believers and unbelievers alike are left homeless. They have no food and no clothing. There is no single house in my village and other villages. Casualties in my district are high. Places are filled with dead bodies while the workers are needed. I tried to go to my village, a distance of 3-4 hours bus drive, but the roads are broken. There is no access of relief at this point, no communication, no transportation. About an hour ago we had another big strike of about 6.8 rector scale, which has the epicenter in my district. Continuous big/huge earthquakes are hitting and almost every hour we feel the shock. Actually many feel it is shaking the whole time. People around the street look hopeless. Please pray with me and others that we have patience, faith and perseverance. I am thankful for constant prayers and concerns that you have shown toward me and my people. My kids are terrified and I don’t know how they will come out of these traumatic experiences. Pray that we all glorify God in this situation of distress. In this situation, I am so honored to be leading people to prayer and explain biblical truth to draw people near to God. Thanks for your love. As the GProCongess program is becoming more defined, Dr. Richard needs someone to come alongside him in crucial implementation. A strong wave of funding is needed over the next few months for Congress preparation. God has provided many wonderful donors; please ask for that provision to flourish. GPA Indonesia, to start in less than two weeks and GPA Peru is set to open April 16. Both need prayer for finding the right 25 delegates. The visa process for the 2015 Dallas GPA is still proving unusually difficult, but the Lord has now supplied 20 candidates with visas. Praise Him! And intercede for the seven more who must apply or reapply. Wisdom and capacity are needed as Dr. Richard evaluates his multiplying responsibilities and opportunities. It has been nearly one year since Dr. Richard’s dear mother, Manorama, graduated to heaven. On Thursday, April 9, which would have been her 91st birthday, Dr. Richard was able to spend some time in reflection and thanks to the Redeemer, the Lord Jesus Christ. Thank you for your kind support on this journey. It has blessed the family deeply.